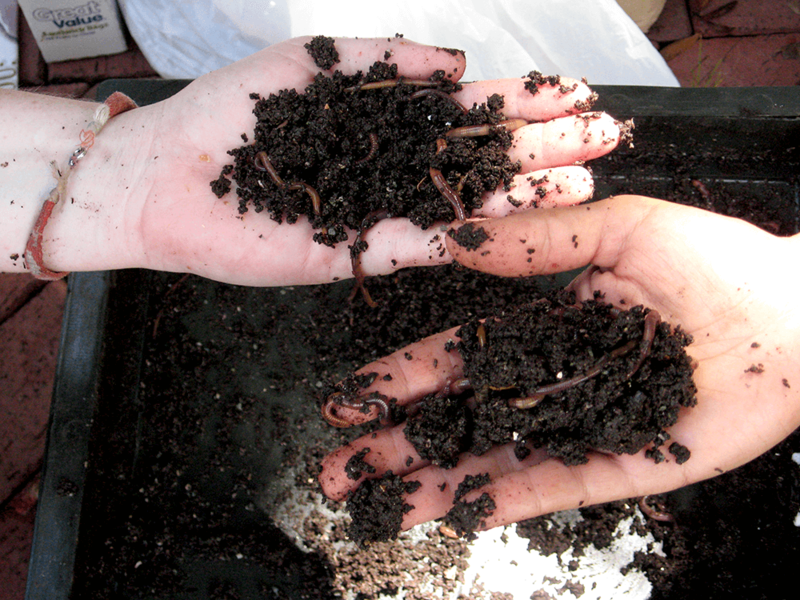 Worms could be the ticket to turning your composting bin into a powerhouse. In 2014, Americans threw away 258 million tons of garbage. Over half of this garbage fell into three categories: paper and cardboard, yard trimmings, and food waste. While Environmental Protection Agency (EPA) numbers show recycling and composting rates have continued to increase over the years, only 89 million tons of garbage produced in 2014 were recycled or composted. To help combat the amount of waste ending up in landfills, many people are turning to a natural solution: worms. While vermiculture refers to the culture and expansion of earthworms on a commercial scale, vermicomposting takes recycling to the next level in your own backyard. It's composting, but with worms added in to help break everything down. Lynn Barber and Lisa Meredith with the University of Florida Extension have been helping people in their community learn about vermicomposting for years, and they say interest in the practice has been growing. 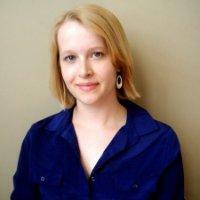 Both Barber and Meredith agreed space was a key driver in leading people to vermicomposting. Unlike traditional composting, vermicomposting can be practiced indoors in relatively small containers. In fact, Meredith has two containers in her office. On top of the spatial convenience, vermicomposting takes minimal effort to maintain. Barber says that, after the initial setup, all a person needs to do is add waste materials and make sure the worms have a moist environment. The red wriggler worm is the type most often used for vermicomposting and can eat its body weight in food every day. This means 1 pound of worms can keep up with 1 pound of waste a day. The worms are not picky about what they eat, either. Meredith said people can feed their worms anything plant-based: fruits, vegetables, shredded paper and cardboard, coffee grounds, coffee filters, tea bags, grains, and more. The only things she cautioned to keep clear of are dairy products, meats, and oils. When their broad diet is combined with their voracious appetite, it's easy to see how the red wriggler could divert almost all of a household's kitchen waste from landfills. 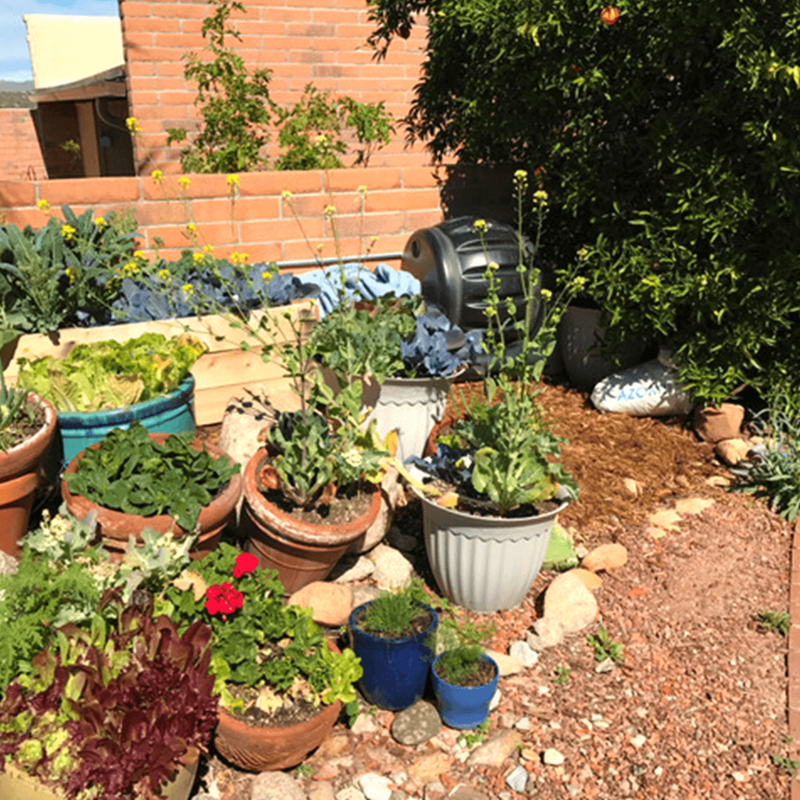 While some people are attracted to vermicomposting as an environmentally friendly way to get rid of food and paper waste, people like Arizona native Scott Eshelman adopted the practice for the additional benefit of worm castings, informally known as worm poop. Castings are a natural, nutrient-rich fertilizer that can be harvested from a vermicomposting container and added to a garden or used as potting soil. Eshelman got involved in beekeeping with his son about three years ago. After learning about declining bee populations, Eshelman started looking for ways he could help combat this issue. He settled on gardening. On top of reducing household waste and producing bee-friendly fertilizers, Eshman and Barber both listed a more intangible reason why they enjoy vermicomposting: its use as a teaching aid. Eshelman is using vermicomposting, beekeeping, and his garden to teach his grandchildren about sustainability. Taking a “circle of life” approach, he likes to stress how the worms, bees, and garden connect to each other. In terms of vermicomposting specifically, Eshelman said that it's one of the easiest steps a person can take to help their family be more sustainable and reduce their carbon footprint. The average American throws away 4.4 pounds of garbage a day, with the majority winding up in landfills. Reducing this number has been shown to not only reduce the amount of waste ending up in landfills, but also help slow climate change and conserve the nation's resources. Practices like vermicomposting can help families minimize the amount of waste they generate in a simple, family-friendly way. 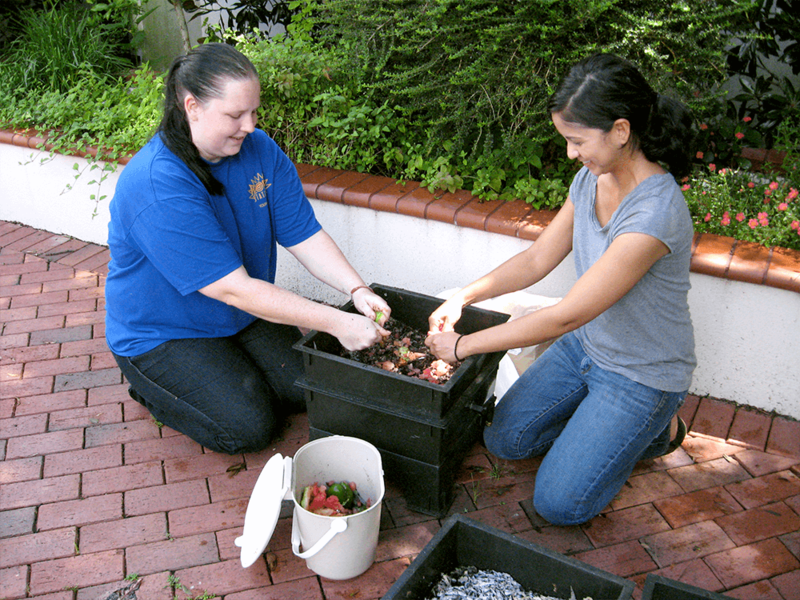 For more information on vermicomposting, check out the University of Florida Extension’s online resources or check with your local university extension center. 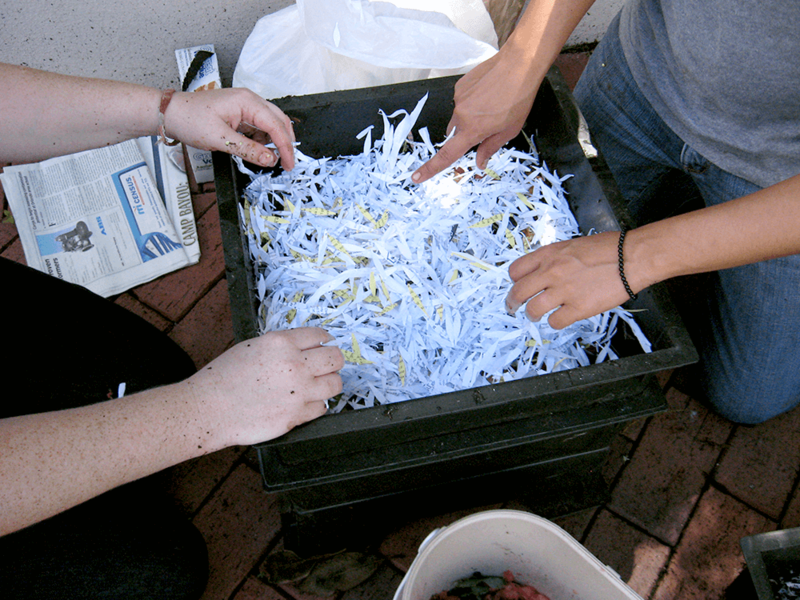 Meredith also recommends the book Worms Eat My Garbage by Mary Arlene Appelhof, while Eshelman recommends searching Facebook for groups where people can share their vermicomposting experiences. "When their broad diet is combined with their voracious appetite, it's easy to see how the red wriggler could divert almost all of a household's kitchen waste from landfills." There are approximately 2.2 million species of animals in the marine biome.